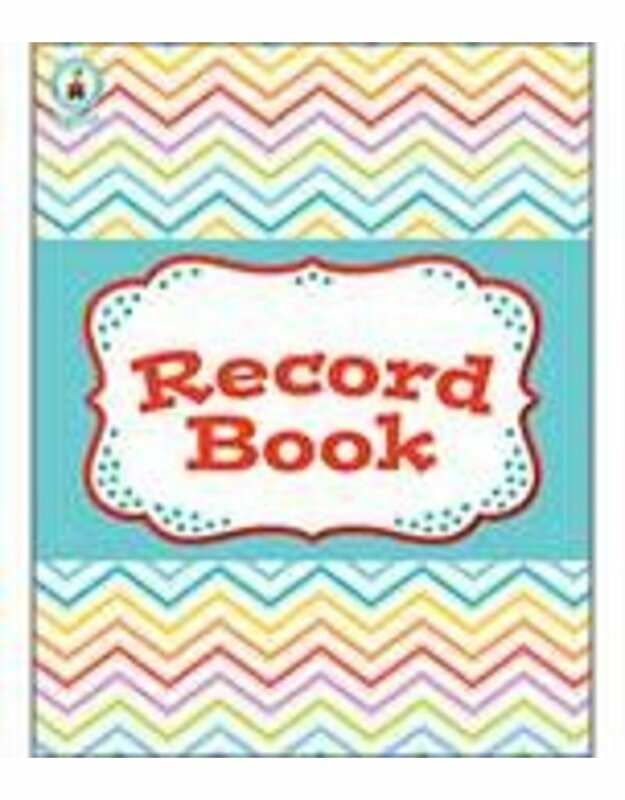 Organize your school year in style with the comprehensive, spiral-bound 96-page Chevron Record Book! This contemporary Chevron design will bring color and energy to your classroom! Stay organized and track students progress all year long. The perforated pages save time by allowing one list of students names to be used across several pages of records. Record pages also include space to record individual standards covered by each assignment. In addition to record pages, each book includes student roster, attendance, and behavior log pages. Bonus pages provide reproducible notes, awards, and a grading percent chart.